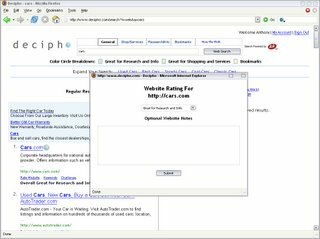 Decipho is a personalize search site. Decipho filters the search results by user preferences and breaks them into categories. It is able to do this by allowing users to categorize the results – shopping, info & bookmarks – and then storing them by the domain name.